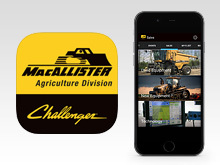 The Agriculture Division of MacAllister Machinery sells, rents, leases, and services high-quality farm equipment from Challenger, LEXION, Gleaner, and other manufacturers. 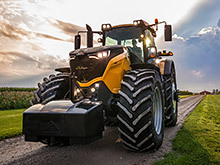 There's more to the CH1000 powertrain than just a bigger CVT. Learn about the innovative engineering behind torque vectoring! 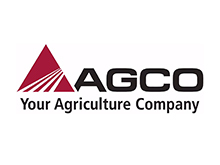 Click to learn about AGCO's transition from a company that grew through acquisitions to creating organic growth through R&D and manufacturing. 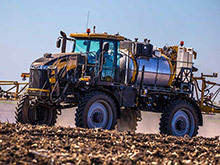 Click to learn about the new RoGator C Series — built to reduce crop damage, be more precise with product, and more productive every day.